It is amazing how many things you need on the road. 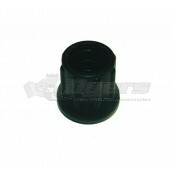 At Dyersonline.com we stock a variety of products you need for your RV life style. 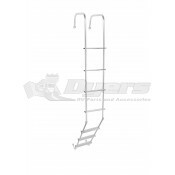 We carry ladders both for inside and outside use. 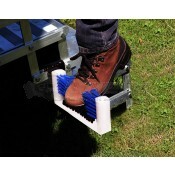 Compact foldable ladders that you can easily store away are a great option for travelers. 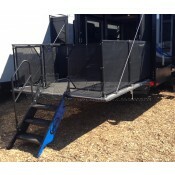 There are also a variety of bunk ladders to fit every shape and size of RV bunk area. 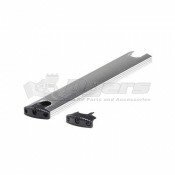 We also have options for permanently attached ladders so you have a quick second exit in case of emergencies. 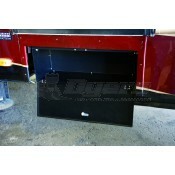 You are taking a nap in your 5th wheel when you realize that a fire started in the back and you can’t get to the door. 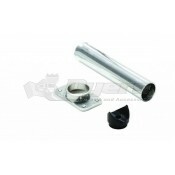 With a safety ladder installed you can calmly climb out the window without injuring yourself. 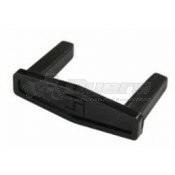 We also carry anti-slip tape that should help give you that extra confidence to go down the ladder in an emergency. 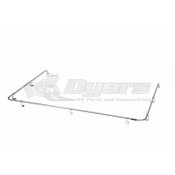 Dyersonline.com also has many steps stools to help you get to those out of reach places. 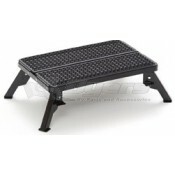 Also, we carry an adjustable step stool so that you have various settings that work for everyone in the family. 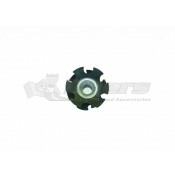 When you order from us you know you are getting a heavy duty, quality device intended for your lifestyle, not something that will fall apart after a trip or two with heavy use. 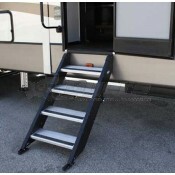 We carry a step stabilizer so you have the security you need to get on or off your RV safely. 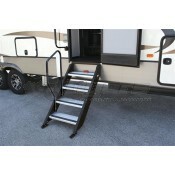 It bolts directly into the step and will minimize the RV rocking when you are getting in or out. Another important addition to any RV is the American flag. 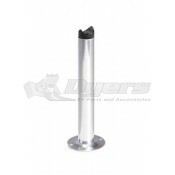 We have an array of flags and flag poles all of which are also heavy duty and are made to last on the road. We know you want to display your patriotism with pride and dignity that is why we stock those products that are important to you and your family. 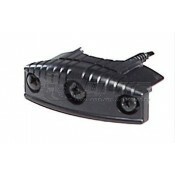 Come check out our website and you will see.